A Facebook group in Turkish called Once upon a time Armenians in Anatolia has photographs and postcards of new and old Armenian culture in eastern Turkey. The late 19th century Ottoman Sultan Abdul Hamid II banned the use of the scientific formula for water. He thought that H2O might be interpreted as he (Hamid the second) being equal to nothing (zero). The reverse, unfortunately, was the case: even during his rule Hamid became a world-famous figure nicknamed the “bloody sultan” – for massacring almost quarter a million Christian Armenians in the late 1890s in lieu of introducing sought reform. A decade after the Hamidian massacres, the next Ottoman regime that replaced the sultan brought about the end of what is now eastern Turkey’s indigenous Armenian population. Over a century after the Hamidian massacres and half a decade short of the centennial of the genocide that followed, a grandson of the “bloody sultan” says he is “on the side side of the truth.” One reason why Beyzade Bülent Osman admits, even as indirectly so, his forefather’s massacres and the genocide that followed is because his family “owed their lives” to an Armenian family in France that helped Mr. Osman’s family when they escaped from the Ottoman Empire. Wildlife Wars in Armenia and Azerbaijan? A month after Armenia’s districting of a new wildlife sanctuary, Zangezur, its ex-Soviet neighbor Azerbaijan has renamed a newly-expanded national park – not too far from the one in Armenia – Zangezur. The environmentally praiseworthy move may prove politically dangerous. While a likely coincidence, the name-sharing of the two parks could increase the already sky-scraping atmosphere of mutual distrust and information wars. But the incident also has potential to help Armenia and Azerbaijan – technically at war over the region of Nagorno-Karabakh and locked in so-far-unsuccessful negotiations – to acknowledge some of their overlapping history. History is hotly (and hostilely) contested in Armenia and Azerbaijan, with both trying to delegitimize each others’ national claims. 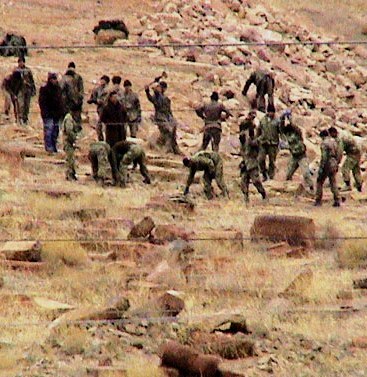 Azerbaijan, for instance, outright distorts Christian Armenia’s ancient roots in the region – often deliberately destroying distinct Armenian monuments (and later denying their previous existence in the first place) to support its absurd case. Armenia, in turn, exclusively (and religiously) insists that the idea of “Azerbaijan” is a mere construction of 1918 when a Persian toponym (the northern part of Iran) was applied to a newly-established Muslim Turkic country in the Caucasus. While accurate, Armenia’s argument ignores Azerbaijan’s diverse ethnic composition which is not completely limited to colonizing Turkic tribes from the other side of the Caspian but also includes some native peoples who, on their turn, share blood with Armenians. This explains why native Armenians and largely-settler Azerbaijans are genetically more related than either would want to admit. Instead of emphasizing commonalities, which hasn’t been limited t conflict, Armenia and Azerbaijan have been each demanding exclusive rights to geographic names. The name of the new sanctuaries in both countries, Zangezur, for instance, is the name of the mountain range that separates southernmost Armenia’s Syunik region – often called Zangezur itself – from Azerbaijan’s Nakhichevan exclave. Instead of considering history-sharing, both Armenia and Azerbaijan regard Zangezur and Nakhichevan (and neighboring Nagorno-Karabakh) their exclusive historic lands. The history dispute is a headache. But it may contain the key to solving the conflict. The Western and Russian negotiators of the Armenia-Azerbaijan conflict deliberately overlook (and wrongly so) the delicate issue of history and cultural protection. Instead, they should work toward an honest and straightforward address of historical disputes. If indeed a coincidence, the two Zangezur sanctuaries should remind Armenia and Azerbaijan (and the dithering negotiators) that “power sharing” – in this case the coequal right to using common historical names – maybe the road to sustainable peace. Would a “sister” program between the Zangezur reserve in Armenia and the one in Azerbaijan help bring some change? A higher court in Turkey has returned 44 of 100 acres to an Armenian family after decades of legal battle, an unprecedented act in a country where the indigenous Armenian population was wiped out during WWI, their ancient civilization destroyed, and their private property confiscated. But while most of the land the Christian Armenians once owned is in rural (and poor) eastern Turkey, the 44 acres the France-based Agopyan family will recover is in Istanbul’s affluent Tarabya neighborhood, located on the European shores of the Bosphorus. Estimated at billions in value, the land houses luxurious villas, historic places, night clubs and restaurants. I hope this is an acceptable icebreaker to our long silence, but I just came across to reliable information on ArmenianAncestry.com on how to get free Armenian TV stations (and other international stations). The administrator of the website, who is also a pen pal, details the ABCs of getting the equipment (he says it will all cost under $200) to have free (without subscription) international TV broadcasting, including several Armenian channels. The largest international Assyrian organization has convened its convention in Australia. 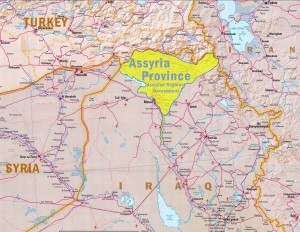 The result of Assyrian Universal Alliance’s (AUA) 26th World Congress is a declaration which, in part, calls on Iraq to create an Assyrian autonomous region, demands land return from the Kurdish Regional Government in northern Iraq and calls on Turkey to recognize the WWI genocide against Greeks, Assyrians, and Armenians. Interestingly, the declaration calls for official recognition of Assyrians as Iraq’s indigenous peoples. The declaration, nonetheless, doesn’t claim the same in Turkey, Syria, and Iran, where modern Assyrians have previously claimed indigenous connection. It seems that AUA wishes to concentrate its efforts on a particular goal – mainly an autonomous region in northern Iraq. But given their small numbers (estimated at under a million), Assyrian’s righteous claim has little translation in Iraq’s realpolitik. Some even argue that Assyrian demands for autonomy in Iraq are a dangerous play in a region where Kurds and Sunni Arabs contest for power and control. I don’t see a clear-cut solution for the Assyrian problem in Iraq, but I think a complementary relationship with both Kurds and Sunni Arabs is in the best interest of the Assyrians at this time. Background on Assyrians: Known by different names, the indigenous peoples of Mesopotamia are often called Assyrians, Syriacs, Arameans, Chaldeans, Nestorians, Syrianis, Jacobites, and Phoenicians. Not all of the above choose to be called Assyrian, the general name often given to all these groups, and a more inclusive term, Chaldeans-Assyrians-Syriacs, has been emerging. The most active groups, nonetheless, consider the entire nation – Assyrians. A small, stateless indigenous peoples spread between Iraq, Turkey, Syria, and Iran, Assyrians are a little known nation with a recent history of persecution and even genocide. The likely descendants of the ancient Assyrians and Babylonians, modern Assyrians are an ancient Christian people who have survived for centuries. Surrounded by not just states but also by other stateless groups such as the Kurds, the history and problems of Assyrians are little known, discussed, or talked about. According to various estimates, there are roughly four million Assyrians around the world. Less than two million live in their ancestral lands of what is now northern Iraq. As a result of the two Gulf wars, the number might have actually dwindled to less than a million there. In Syria, there are an estimated of 800,000 Assyrians, 74,000 in Iran, and less than 25,000 in Turkey. The largest diasporas are in the US, Armenia, Brazil, Lebanon, Russia, Sweden, and Australia. Amid attempts to establish relations with Armenia and further its influence in much of the Middle East, Turkey has a new Minister of Foreign Affairs: Ahmet Davutoglu. In a major cabinet reshuffle by Prime Minister Recep Tayyip Erdogan on Friday, Ahmet Davutoglu, the official who has shifted Turkish foreign policy toward a greater focus on the Middle East, was made foreign minister. Mr. Davutoglu previously served as a foreign policy adviser to the prime minister. While ‘zero problems with neighbors’ suggests normalizing relations with Armenia – which has been blockaded by Turkey for almost all of its post-USSR existence – Davutoglu may not be the moderate some media make him to be. The mastermind of this turnaround—‘neo-Ottomanism,’ as some in Turkey and the Middle East are calling it—has been Ahmet Davutoglu, the Turkish prime minister’s chief foreign-policy advisor. In his 2001 book, Strategic Depth, he argued that in running away from its historical ties in the region, Turkey was also running away from political and economic opportunity. His strategy has paid off, literally, for Turkey. Trade with the country’s eight nearest neighbors—including Syria, Iran, and Iraq—nearly doubled between 2005 and 2008, going from $7.3 billion to $14.3 billion. And, from being on the verge of war with Syria a decade ago, Ankara is now among Damascus’s closest allies in the region […]. Nationalism is nothing new in Turkey. Yet for much of the last century, it has meant rejecting the country’s Ottoman history. Today it means claiming it. Is solving the problem with Armenia – the darkest spot of the imperial heritage – the return to the future of Ottomanism for Turkey? Ahmet Davutoglu, senior foreign policy advisor to Turkish leaders, last week met with U.S. officials to discuss President Barack Obama’s visit to Ankara and Istanbul on April 5-7. During a visit to Washington shortly before the presidential elections, Mr. Davutoglu insisted that Turkey wants ‘to have best relations with Armenia,’ and ‘good relations’ with Armenians in the diaspora. Davutoglu comes across as a moderate, but was he appointed to this position because he was able to convince Obama not to use the g-word? Much of the discussion about the recent development of Turkish-Armenian relations has been about ‘strategic culture.’ That is, annalists look at foreign policy as a dynamics of internal and external developments: how societal moods – in this case nationalism – reflect or shape discussions, how leaders make decisions based on national interest as defined or contested by different groups, etc. More importantly, questions of whether Turks or Armenians are “honest” in the developments or whether a piece is “really possible” amid the history of genocide are often raised. Culture, and its implications on policy, are taken for granted. It is common for foreign policy analysis to think of state actions as a “group” action, deeply reflective of domestic change or conflict. Much of this may be true for the Armenian-Turkish developments, given that more Turkish citizens seem to be open to dialogue, that Turkey wants to broaden its influence in the region, and that Armenia seeks a more economic viable future. All of the above, and other factors, are true, but strategic culture creates stereotypes, homogenizes governments, and leaves little room for change. Armenians talk whether they should trust “the Turks,” vice versa. Individuals like Ahmet Davutoglu seem to be influential and leading the charge. He is, what researchers call, a goal-driven leader who clearly has a vision of making Turkey an uncontested regional power – even if such an attempt includes normalizing relations with ancient foe Armenia. But Turkish leaders, for that matter leaders of regional-hegemon-wanna-bes, are commonly instrumentalist – using nationalism to advance their often personal goals. It remains to be seen whether Davutoglu will be willing and able to broker an opening of the Armenian-Turkish border, which will hopefully open the door for Turkey to face its past in order to have a better future. Perhaps it is in the interests of ‘neo-Ottomanism’ to recognize the Armenian Genocide?